American Society for Training and Development – information on recent training trends. American Staffing Association – information on the temporary staffing industry. International Association for Human Resource Information Management – HR information management issues and trends. The Professional Association for Compensation, Benefits and Total Rewards – information on employee retention. Society for Human Resources Management – membership required in some sections. America’s Career InfoNet – Wages and trends by occupation and state. Employee Benefits of Private Industry 2000 – Part of the National Compensation Survey with data characteristics of employee benefit plans. ESOP Facts and Figures– Non-profit trade association dedicated to employee ownership through ESOPS with expert list, valuations and accounting standards. National Compensation Survey – Detailed occupational earnings are available for metropolitan and non-metropolitan areas, broad geographic regions, and on a national basis. National Resource and Information Center – Offers updated information on Women’s Bureau programs, Work and Family Clearinghouse, and Fair Pay Clearinghouse; small business ownership, women in management, apprenticeships and nontraditional occupations, pensions, veterans affairs, domestic violence, and safety and health. Occupational Outlook Handbook – Earnings, working conditions and forecast for occupations. Employee Benefits Security Administration– Pensions, health plans, and other compliance assistance. The Professional Association for Compensation, Benefits and Total Rewards – See “Research and Surveys” tab for low cost reports on outsourcing, retention bonuses, employee recognition, layoff trends and more. Retirement Plans for Small Business – IRS report on SEP, IRA and 401K. Women’s Bureau Stats – reports on earnings by gender and nontraditional occupations for women. 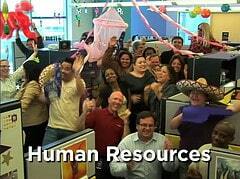 HR Guide – examples of employee/collegiate handbooks, manuals and how-to guides. Mine Safety and Health Administration – education, training information and safety standards for this specific industry. Occupational Safety and Health Administration – education, training information and safety standards for the workplace. ADA Guide for Small Business – from the Department of Justice. CCH Inc. Research Network – human resource and employment law site. Small Business Compliance – Department of Labor searchable database for small business compliance publications. Small Business Information – employer information from the Equal Employment Opportunity Commission. Employment Law Guide – describes the major statutes and regulations administered by the U.S. Department of Labor (DOL) that affect businesses. World at Work – information central includes reports on attracting and retaining employees, outsourcing and workplace motivation. Employment Taxes – step by step guide from the IRS for small business. Employment and Training Administration – employment, training, workforce development issues. Office of Apprenticeship Training, Labor and Employer Services – apprenticeship programs available on the state level. Catherwood Library at Cornell University – searchable database of Workplace Issues Today articles; email service available. Society for Human Resources Management – largest association with membership required in some sections. Employment Benefit Research Institute – publishes data of value to anyone who cares about employee benefits – from business owners and HR managers, to politicians and citizens alike.